From the award-winning author of Catching the Wind, which Publishers Weekly called unforgettable and a must-read, comes another gripping time-slip novel about hidden treasure, a castle, and ordinary people who resisted evil in their own extraordinary way. 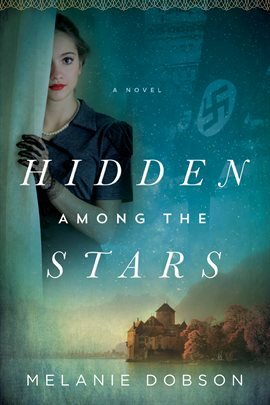 The year is 1938, and as Hitler's troops sweep into Vienna, Austrian Max Dornbach promises to help his Jewish friends hide their most valuable possessions from the Nazis, smuggling them to his family's summer estate near the picturesque village of Hallstatt. He enlists the help of Annika Knopf, his childhood friend and the caretaker's daughter, who is eager to help the man she's loved her entire life. But when Max also brings Luzia Weiss, a young Jewish woman, to hide at the castle, it complicates Annika's feelings and puts their entire plan-even their very lives-in jeopardy. Especially when the Nazis come to scour the estate and find both Luzia and the treasure gone. Eighty years later, Callie Randall is mostly content with her quiet life, running a bookstore with her sister and reaching out into the world through her blog. Then she finds a cryptic list in an old edition of Bambi that connects her to Annika's story . . . and maybe to the long-buried story of a dear friend. As she digs into the past, Callie must risk venturing outside the safe world she's built for a chance at answers, adventure, and maybe even new love.